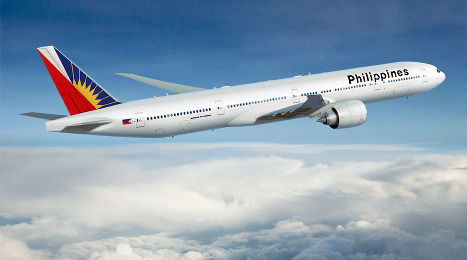 After a 3-year ban, the European Union (EU) has given permission to Philippine Airlines (PAL) to resume non-stop flights from Manila to European cities like London, Paris, and Amsterdam. Philippine-based airlines were banned from flying to countries in Europe in 2010 after the International Civil Aviation Organization (ICAO) found “significant safety concerns” in the aviation standards of the Philippines. Ever since then, they've been blacklisted from the EU. But now the ban has been lifted after "corrective actions were progressively undertaken". On July 10, 2013, at a press conference in Manila, EU Ambassador Guy Ledoux made the formal announcement of the lifting of the air ban. He commented, "Today the EU has decided to lift the air ban for Philippine Airlines. The decision will be effective starting Friday, July 12, 2013. This decision is very encouraging and is a first success for both CAAP and Philippine Airlines." Ramon Ang, President and CEO of Philippine Airlines, commented, "I think we are entitled to seven flights a week to London, six to seven times a week to Paris and we will have to review our agreement with other countries." He also mentioned that the airline recently purchased several long-range aircrafts, and wants to establish new non-stop routes not only to London and Paris, but also to Rome, Amsterdam, and other cities. "This signals the restoration of the Philippines as a possible gateway or hub for the rest of Southeast Asia. So we could go from roughly 300,000 European tourists we have now to easily about 600,000 over next year and a half," said Tourism Secretary Ramon Jimenez. The EU ban, however, has not been lifted for Cebu Pacific, a second major Philippine carrier. The reason cited was an incident last month where a Cebu Pacific plane skidded off a runway while landing in the southern Philippine city of Davao. The airline has since been harshly criticized for safety lapses.